Sewanhaka High School students received bracelets that read “Choose Kind” when they took their pledge on Call it Out Day. 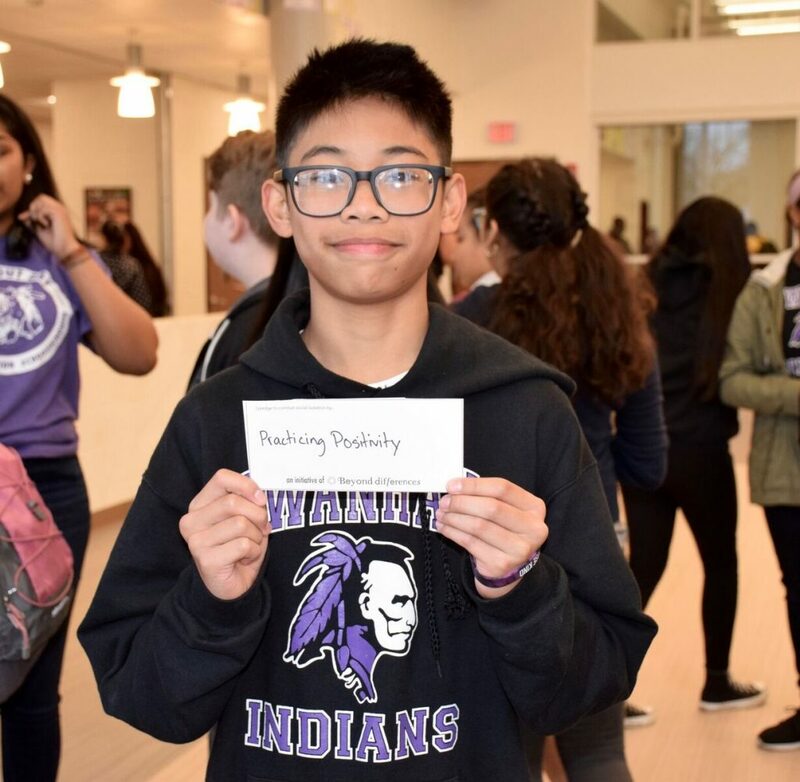 Sewanhaka High School seventh-grader Edric Balgos pledged to practice positivity. 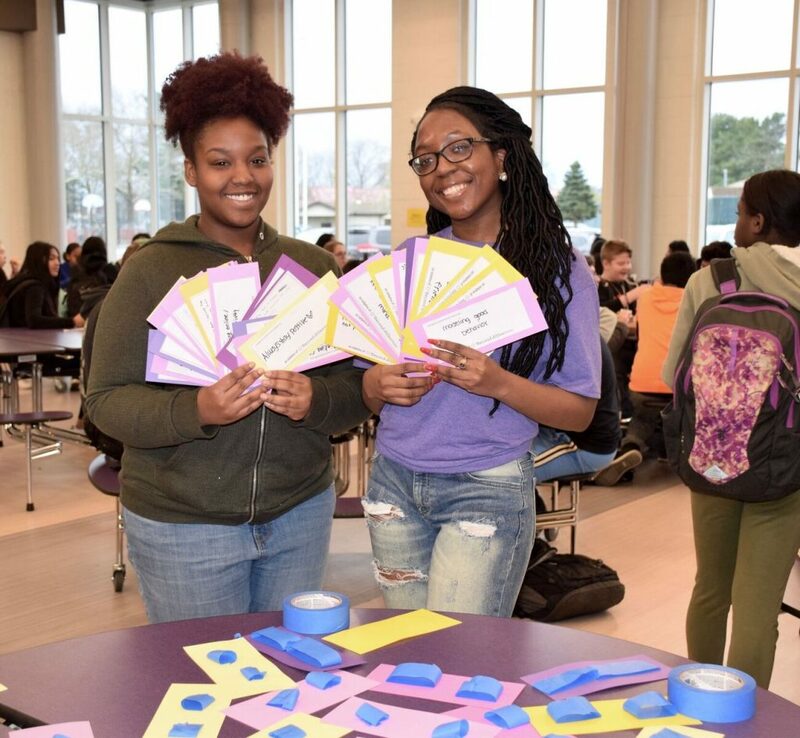 Sewanhaka High School seniors Ophney Eugene (left) and Regine Jeudy volunteered to collect pledge cards for posting from their peers. Sewanhaka High School junior Kye Toussaint filled out a pledge card at the event. Sewanhaka High School eighth-grader Gabriella Budes pledged to avoid participating in negative behaviors.